There are lots of reasons that you might be moving to a new house this new year. The ones we can think of are downsizing, needing more space, relocating, retirement, change in lifestyle / circumstances, change in relationship, a new arrival, move closer to family, move closer to a good school, the cost of your home, even changes to your local area. Whatever you’re doing, we can help you clear the clutter and store your possessions while you get your new place sorted out. Store things until you know if you’ll need them. Or until you organise whether you’re selling them, giving them to charity or keeping them until the next generation needs them. Until you know your new life, it can be useful to keep your possessions – just in case you find you do need that inflatable boat in the city after all. It can save you getting rid of something only to have to replace it soon after. Keep things you want to pass on. If you’re moving to a smaller property then you might also want to store things you’ll use occasionally. That saves taking up valuable space in your new home. You want to keep clutter to a minimum, so you can enjoy the smaller space, not resent it. Store the things you don’t need immediately. Then you can decide what to do. Things may change around again and you’ll be delighted you kept all your stuff. Or you might decide you can live without it, and you can sell it or donate it to charity. Wait until you’re not emotional before you decide what to keep and what to burn. Sorry, get rid of. You might regret going nuts and getting rid of things. As humans, we tend to remember the good things. So there’s a chance you’ll want to keep the ticket stubs from Cats the musical or the snow globe from Ibiza. Store everything you can. Keep your house clutter-free and it’s easier to make it child-friendly. You can gradually bring things back to your home the older your new arrival gets. Get stuff out the road. There’s nothing more frustrating than having to shuffle furniture around as you work. And it slows you down. Get rid of everything you don’t need and let us look after it. You can get it all back when you’re good and ready for it. Whatever the reason for you moving to a new home, let us help by storing what you don’t need right now. Removing clutter lets you enjoy your home more. You can trust us to look after your things as if they were our own. And we know that everything is important to its owner. So, we offer 7-day access, drive-in facilities, moving equipment, state-of-the-art security and fire precaution, deliveries and collections, customer parking and staff who know what they’re doing. They’re all there to help you, whatever you need. 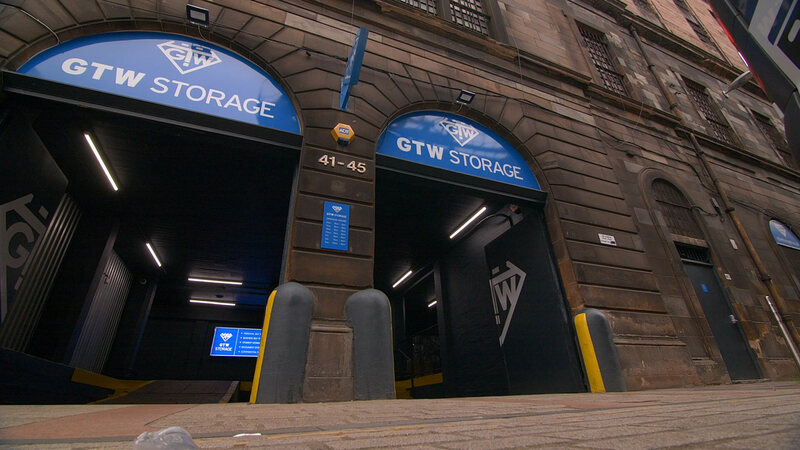 Find out more about our storage options, including how much space you’ll need and prices, here. New year. New home. New you.